ZIMBABWE – Fuel prices have come down relatively since government adopted multiple currencies aided by falling oil prices on the international market and the weakening of the South African rand, businessdigest has observed. The global oil industry, with its history of booms and busts, is in its deepest downturn since the 1990s. 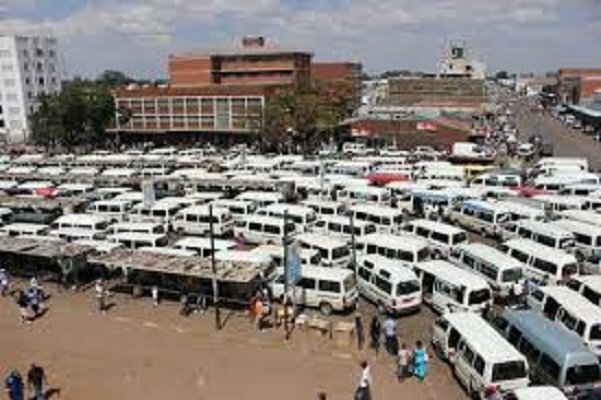 Traffic jungle … The general public will not feel the effect of falling fuel prices. But despite the trending prices on the international market, Zimbabwe remains one of the countries with the highest fuel prices due to taxes and high transport costs. For instance, 95EPU in South Africa, which is for the top end market costs R12,43 (US$0,79) while 93EPU is priced at R12,15 (US$0,78) per litre. Unlike South Africa and Mozambique, Zimbabwe is a landlocked country. Experts say on the demand side, the economies of Europe and developing countries are weak as vehicles are becoming more energy-efficient. A snap survey by businessdigest shows that petrol and diesel prices have dipped at both locally-owned and foreign-owned service stations in response to developments on the global market. A litre of petrol blend at Zuva Petroleum now costs US$1,23 from US$1,26 last month while Engen has reduced the price of the same commodity to US$1,26 per litre from US$1,30. In 2009, unleaded petrol cost US$1,50 per litre. Diesel has also gone down by as much as 10 US cents to 96 US cents. Diesel50 was costing US$1,15 as of Wednesday from around US$1,26 per litre last month. Harare-based independent economist John Robertson said while the rand has depreciated by 30% to the United States dollar over the last 12 months, Zimbabwe was unlikely to enjoy the falling fuel prices triggered by the weakening regional currency. Treasury is currently operating on tight fiscal space that has seen public spending accounting for 80% of total revenues. “There is still room for the price to go down, but we have higher excise duty charged on fuel compared to regional peers and government badly needs the revenue. So, this would mean that consumers will not fully enjoy the falling fuel prices,” Robertson said. Zimbabwe National Chamber of Commerce CE Takunda Mugaga said deflation in the domestic economy unlike other economies has resulted in price corrections, arguing that prices were generally high after the introduction of multi-currencies in 2009. “Zimbabwe is on a fiscal cliff edge. We are in such a delicate situation that you cannot afford to price fuel in tandem with international fuel prices. “So what is sacrificed in the process is the consumer surplus that is the difference between what the consumer pays and what he/she is willing to pay,” Mugaga said. Weakening aggregate demand has seen Zimbabwe’s headline inflation for January 2016 further decelerating to 2,2% year-on-year (y/y), compared with 2,47% y/y in December as the country remains the only one in the region with negative inflation. The country’s inflation has remained in the negative territory, with the annual headline inflation decelerating from -1,3% in January 2015 to -3,3% in October 2015 and slightly accelerating to -2,5% in December 2015. On a monthly basis, the inflation rate was -0,05% from the December 2015 rate of -0,1%. Analysts say Zimbabwe needs to institute more reforms to stimulate economic activity in the wake of falling commodity prices on the international market and weakening regional currencies.